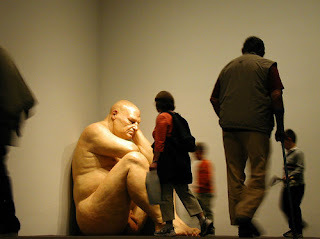 Mueck is an australian hyperrealist sculptor. He started working in special effects for movies, and after seeing his talent he decided to become an artist. 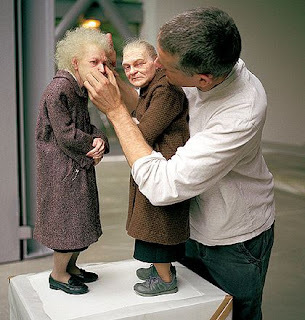 He moved to London to start a business in publicity, and became obsessed with making his sculpture look more realistic . He started to work with Paula Rego, she introduced him to Saatchi who became a fan of his work, and started to buy a lot of his artwork. His artwork represents an exact copy of the human body but he likes to play with the scale. I find his work amazing, and if you ever have the chance to see one of his pieces, do it, it will amaze you.